Preserving metals assets to reduce waste and the energy required to make new items. 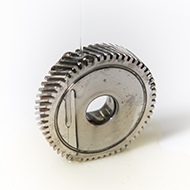 Aiding in the refurbishing and remanufacturing of used metal items such as engine components. Preventing waste by enabling the recycling of rusted metal items. Offering recyclable products such as Zerust VCI films and papers. 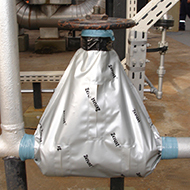 ZERUST/EXCOR® products are safe for people and the environment. 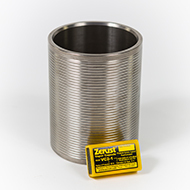 Most of Zerust's core products are approved by many commercial companies, military organizations, International Health Institute and chemical organization to be non-toxic, and environmentally benign. 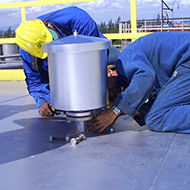 ZERUST/EXCOR® experts offer consultation services for corrosion management. Our management systems is certified according to the ISO 9001: Quality Management Standard. REACH information: for questions regarding REACH, please email REACH@ntic.com. 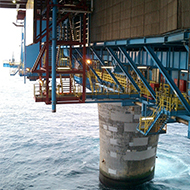 The ZERUST/EXCOR® technical service team provides consultations onsite to recommend a corrosion management solution. 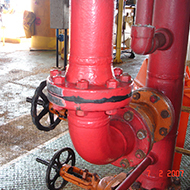 Consult the Worldwide leaders in corrosion prevention and management products and services today. Zerust Oil and Gas is a division of Northern Technologies International Corporation that provides corrosion mitigation solutions and services to clients in the Oil & Gas and process chemical industries. Some of our oil and gas clients include Conoco-Philips (USA), EPPCO (UAE), Petrobras (Brazil), Schlumberger (Malaysia), EMS Pipeline (USA), PEMEX (Mexico), Shell (Malaysia), and FMC Technologies (USA). Zerust solutions are designed to meet the stringent third-party evaluations of EPA (Environmental Protection Agency) regulations. Natur-Tec®, a business unit of Northern Technologies International Corporation, engineers and manufactures biobased and compostable plastics intended to replace conventional, petroleum-based plastics. Natur-Tec has a broad bioplastics portfolio which spans flexible film, rigid injection molded materials, and engineered plastics. These applications allow for the production of 100% certified biodegradable and compostable finished products, such as bags, foodservice products, and product packaging. 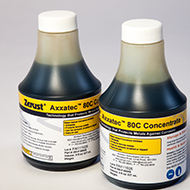 Natur-Tec biobased resins meet the US standard for biobased plastics, ASTM D6866. Finished products made from these resins enable users to reduce their carbon footprint by 80% when compared to the use of traditional plastics. 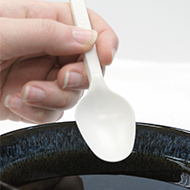 Natur-Tec compostable resins meet the US standard for compostable plastics, ASTM D6400. 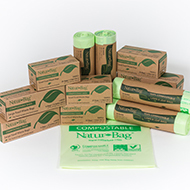 Natur-Tec compostable resins are used to make products that support a sustainable lifestyle such as compostable bags and bin liners for use in homes and businesses. 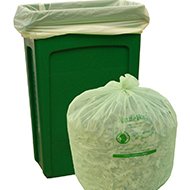 Diverting organic waste typically reduces waste going to a landfill by 30-50%. 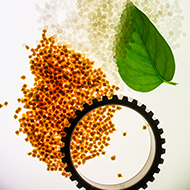 Natur-Tec offers proprietary biobased and compostable plastics and finished products tailored for single-use disposable consumer and industrial packaging, as well as durable industrial engineering plastics applications. For more information on our Zerust® products, visit www.zerust.com. 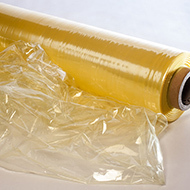 For finished products, such as bags, foodservice products, and product packaging from our Natur-Tec resins. Visit www.naturbag.com. To learn more about how Zerust can help you in the Oil and Gas industry, visit www.zerust-oilgas.com.